They say knowledge is power. In the case of confined spaces, knowledge and a rapid response to hazards are key to a worker’s survival. In this article, Richard Saint addresses the risks that workers can encounter in confined spaces. Although health and safety legislation has improved immeasurably in recent years, roles such as working in confined spaces are still considered dangerous and precautions can and must be taken. Those required to work in these conditions should maintain diligence, remaining wary of the risks posed. Defined as a place that is substantially enclosed, working in a confined space is fraught with various hazards. The individual working within the area can be at risk of injury, either through their exposure to hazardous substances or from dangerous conditions within or close to the space. It is important to note that the area does not have to be entirely enclosed for the worker to be considered at risk. Partially enclosed areas are subject to the same hazards. There are a number of dangers associated with working in confined spaces. Accidents have been known to cause minor injuries and even fatalities. Some confined spaces can be easily identified, such as sewers, storage tanks and enclosed drains. For those working in or near potential confined spaces, an awareness of changing conditions must be encouraged, as an area can become confined even as the work is completed. In these cases, a conscious attitude towards health and safety needs to evolve and develop. For those who suffer from claustrophobia, the mere notion of working in a confined space can be terrifying. Indeed, it is believed that nearly 2% of the population have an extreme or irrational fear of being enclosed, making the prospect of working under such conditions truly horrifying. Thankfully, the vast majority of the population are more comfortable with such restrictions, with some comfortable enough to have entire careers revolving around working in confined spaces. A number of industries rely on individuals being willing to work in such environments, with extreme conditions coming as part and parcel of their roles. Miners, for example, are known for working underground in cramped conditions. Despite significant safety improvements, mining continues to be an extremely dangerous occupation. To operate underground safely miners must be physically fit as well as alert to changes in their environment. In such professions, a number of people are killed or seriously injured each year. While it is easy to advise that they should simply avoid working in confined spaces, in reality work of this nature is a necessity in certain vocations. The necessary work will still need to be undertaken, of course, but in a safe manner, with measures in place to mitigate risk and avoid dangerous circumstances where possible. While the employer should consider such hazards on the behalf of their employees, anyone working within such restrictive areas would be well advised to understand any potential danger they may face, so they can take measures to avoid injury. Forward planning can help to reduce the need for prolonged periods of time working in confined spaces. Work should only be completed on site when absolutely necessary, with all other work carried out in safer environments. As an example, rather than an individual entering a confined space to perform safety checks, a remote camera could instead be used for internal inspections. It is crucial that both the employer and the employee understand the risks posed by the work being carried out. In the interest of minimising risks where possible, each worker should be trained and given a health check. A clear plan should be in place in the event of accident or exposure, which ensures that anyone working in the area can quickly escape to safety. As outlined in the following sections, examples of inherent dangers include, though are not limited to, a lack of oxygen, toxic exposure, liquids and solids, fire and explosions, and exterior threats. Air is required to sustain life, so its absence can be incredibly dangerous. Depleting levels can cause those working in the area to suffocate, which when prolonged can prove fatal. A lack of oxygen can also indicate the presence of other hazards. Underground, reactions between soil and the oxygen found in the atmosphere can cause oxygen levels to drop. Chemical reactions between elements such as chalk and limestone can produce carbon dioxide, which may displace normal air. Where the confined space is an area such as a ship’s hold, a freight container or a lorry, the cargo may react with the air inside, causing oxygen levels to deplete to a dangerous degree. In areas where such risks are a real possibility and entering the environment is unavoidable, it is crucial that the confined space is continuously monitored, with safeguards in place to protect against falling oxygen levels. As well as identifying depleting oxygen, monitoring can also alert employees to other risks posed by poor air quality and protect them against exposure to poisonous gases, fumes and vapours. Where work in confined spaces is concerned, a risk assessment should identify the hazards present, analyse the potential dangers and determine the necessary precautions. As a popular example from recent history, canaries were once used by miners to safeguard them against such risks. Used as an early warning system, toxic gases such as carbon monoxide or methane would kill the bird before exposure affected the miners, as the bird’s small stature meant that low levels of exposure would cause it respiratory problems. Signs of distress from the bird indicated the unsafe conditions, allowing adequate time to ventilate or evacuate the area. The use of canaries was phased out in 1987, in favour of more modern methods, such as the hand held gas detectors in use today. Such methods of detection are crucial in confined spaces, as dangers in the air can be colourless, odourless and tasteless. As such, those working in such areas may be unaware of the risks posed, slipping out of consciousness before the danger is even realised. As a common feature of action and adventure films the hero will often become trapped in a confined space, which then rapidly fills with a substance such as water or sand. While more often than not a timely escape is made on the silver screen, in real life the odds of survival would be decidedly less optimistic. Water, grain, rubble or sewage can suddenly fill a confined space, risking the life of anyone working in the area. Workers could become trapped under falling debris, or a collapse could cause exits to become blocked. Under such circumstances, escape may be compromised, putting lives at risk. Flammable vapours or an excess of oxygen can promote ignition, causing fire and explosions. In a confined space this can cause fatalities, so risks should be minimised wherever possible. By-products of the work taking place, such as dust and residue, can be flammable, and the addition of a spark can be enough to cause a flame. Fire can pose an immediate threat, with asphyxiation taking mere minutes to kill. 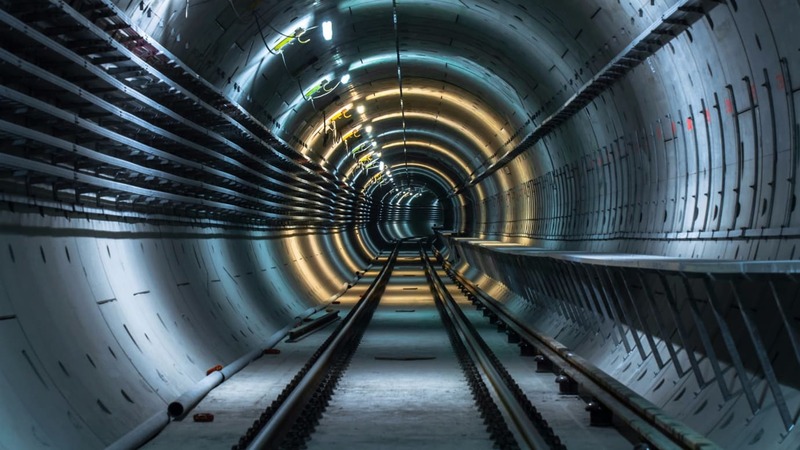 Threats within a confined space are quite often the focus of health and safety, but it is crucial that an awareness of the exterior is also promoted. Work on site may not be limited to the confined space and any work carried out directly above the area may cause issues for anyone working beneath the surface. Vibrations may cause debris to fall in the space beneath, for example, which could cause a head injury to anyone working in the area. If exit is only available through a restricted entrance, it is quite possible that it could become blocked by someone working outside the confined space, which is a factor those working in the area may be unaware of. In the event of an emergency, an escape may need to be swift and such a blockage could cause fatalities. The dangers outlined earlier are real risks to those working in confined spaces, but planning can help to minimise the risks. Under Regulation 3 of the 1999 Management of Health and Safety at Work Regulations, companies are obliged to carry out a suitable and sufficient risk assessment for all work activities, so as to decide what measures are necessary to ensure workers’ safety. The risk assessment should consider the task at hand, the working environment, the working materials, the tools being used, the suitability of those carrying out the task, and the arrangements to put in place should the need for an emergency rescue arise. Taking such considerations into account before work starts ensures plans are in place prior to any danger being revealed. Unfortunately, as with many emergencies, it is often too late to put these plans in place once an accident or exposure occurs. The results of the risk assessment should help to identify the precautions that should be taken, which will in turn reduce the risk of injury. These will be entirely dependent on the confined space itself and the nature of the work. It is crucial that the risk assessment takes into account the way in which the work evolves. A space may become more or less confined, with the associated risks changing as the work progresses. The risks outlined as work begins may become more pronounced, or they may become irrelevant. By accounting for all possible risks, the safety of the workers will be protected for the duration of the work. A risk assessment should also take into account variances in ability, looking at the skills and expertise of those working. With experience and training an emerging risk may be minimised quickly, but where workers lack such expertise measures must be taken. A risk assessment should identify areas where experience may be lacking and training should be put in place to ensure health and wellbeing is safeguarded. Where risks are successfully identified, a safe system of work can be developed, pre-emptively accounting for the dangers in the workplace. After identifying the precautions that should be taken, it is crucial that employers put them into practise. All those working in or near a confined space should be given thorough training, ensuring that in an emergency everyone has a clear understanding of not only what to do, but also the safe way in which to do it. Such preparation can help to avoid panic, for both those in danger and their potential rescuers. It is crucial that in the event of an accident a calm and measured approach is taken. As an example, instinct may make someone rush to rescue a worker overcome by poison in the air, only to then be exposed to the same danger. Despite the best of intentions, in such situations it is always safer to wait for someone with the approved safety equipment to carry out a rescue. Rushing in unprepared does nothing other than increase the body count for rescue workers. Due to the pervasive danger present while working in confined spaces, employers have a legal duty to protect their employees and other individuals in these areas from injury. To protect personnel, employers should conduct risk assessments and offer a variety of appropriate personal protective equipment (PPE) to protect each member of staff from the risks pertaining to their role. Inspectors and engineers should examine any structures and machinery ensuring they are safe to use as intended. Unfortunately, not all employers are as safety conscious as they ought to be. This can sometimes mean that employees lack the required safety equipment and training, which can later lead to injury or even death. As such, it is important for managers and employers to take all the necessary steps to minimise these risks and to prevent any injuries from occurring. When accidents occur, the cause is often rooted in negligence. A lack of appropriate equipment and training will usually lead to injuries, and in some cases, fatalities. If a fire develops, for example, it is often because there has been a failure to put the relevant safety practises in place. Employers have a legal duty to protect you while you work in environments such as confined spaces. Unfortunately, there are many employers that still operate dangerous practises that do not comply with current health and safety legislation. Some employers might avoid giving out protective equipment to save money, others may not use qualified professionals to inspect structures, machinery and equipment, and some may neglect to train their staff thoroughly. In cases like these the employer is responsible for the injury, as they have not fulfilled their duty to provide the means required to minimise the risk of injury. If negligence can be proven when an accident has taken place, the individual who has suffered would be well placed to make a claim for compensation. Speaking on the risks related to confined spaces, Stephen Mansfield, a serious injury solicitor, said: “It is easy for an employee to presume that an employer will be aware of the risks those working in confined spaces face and will be acting in their best interests. “Unfortunately, throughout my career I have time and time again seen cost cutting measures take priority over safety and wellbeing. Many of the personal injury claims I see could have easily been avoided had the fundamentals of health and safety been clearly defined and understood by both the employer and the employee. It is better to have such measures in place than to regret their absence after what could be a serious and debilitating accident. An accident’s impact can range from frustrating, painful and traumatic, to debilitating or fatal. Whether the worker has sustained a head injury from falling debris or they have been exposed to toxic fumes, it is likely that time off work will be needed to recover, which can result in a substantial loss of income. Workers may also suffer negative psychological symptoms from being let down by a trusted employer and may even blame themselves. It’s important that anyone working in or near an environment with the risk of a confined space is fully aware of the hazards they could encounter. Emergency protocols should be rehearsed and practised by each and every worker until they are engrained, so that if an accident does occur the automatic response is the right one.